Jennifer Marsman is a principal developer evangelist in Microsoft's Developer and Platform Evangelism group, where she educates developers on Microsoft's new technologies and frequently speaks at software development conferences around the world. In 2016, Jennifer was recognized as one of the "top 100 most influential individuals in artificial intelligence and machine learning" by Onalytica. She has been featured in Bloomberg for her work using EEG and machine learning to perform lie detection. Jennifer has received numerous honors and recognition for her contributions and innovation. As a software developer in Microsoft's Natural Interactive Services division, she authored two patents for her work in search and data mining algorithms. 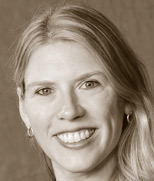 Jennifer holds a master's degree in computer science and engineering and a bachelor's degree in computer engineering from the University of Michigan in Ann Arbor. In this online conference, Heather Migliorisi, Jennifer Marsman, and Ed Finkler share their experience and offer practical takeaways you can apply to your own projects.